It is a valuable piece of advice that Canuck Place recreation therapist, Laura Fielding, has learned in the course of her career. Every day she comes to work and helps children and families living with life-threatening illnesses have the chance to live in the moment and experience activities they may never have thought possible. From sit-skiing in Whistler, to movie nights close to home, Laura and her team work hard to ensure that every activity is accessible for the kids in our program. But what if their child is unable to engage in that passion in the same way? Enter Recreation Therapy! “Your child can still do the same things you do – they just need to have a slightly different approach.” Laura says that seeing a child engage in recreation therapy is one of her greatest joys, and can literally bring a tear to her eyes. These moments don’t have to be large, there’s joy in moments of all sizes. “It’s the small things,” Laura explains. “Like witnessing interactions between a brother who is teaching his younger sister to bowl; it’s seeing the look of pride in a mother’s eyes as she watches her child gain some independence; it’s hearing that after the death of a child, that passing by a certain lake reminds a parent of the parasailing activity they experienced together with Canuck Place. The recreation therapy program is only possible with donor support. “I can tell you for certain, when people donate to Canuck Place, their donation is having an impact,” says Laura. “Every time I’m on an outing with a child, whether buying them an ice cream, taking them to the Aquarium, or swooshing down the slopes of Whistler, I know that we are there because of the generosity of others. 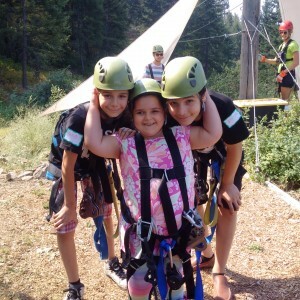 At Canuck Place Children’s Hospice, we make a difference for BC’s children and families. We provide critical care for children living with life-threatening illnesses and the families who love them in our two provincial locations and in their home communities, empowering them to celebrate each moment, build precious memories and manage the pain and symptoms of their illnesses and conditions. We also support the families who love them and provide the tools and resources they need to live in the moment together.